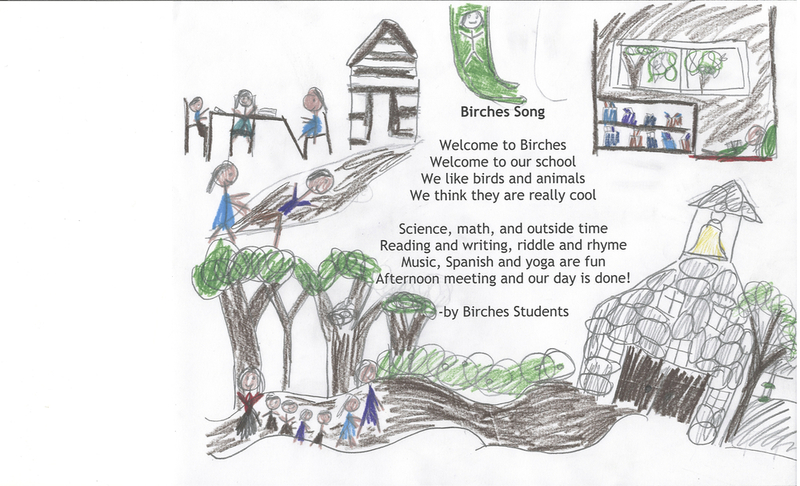 Birches students have published an illustrated poetry anthology. This is the first page, the illustrated text to the school song that they wrote collaboratively. The pictures show (at bottom) children on a nature walk with their teachers near the old stone church which is our home; and (at top) children working at a desk, reading in a reading nook, and playing outside on the playground.